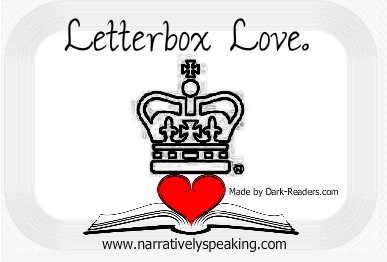 Welcome to Letterbox Love, this is a UK meme, hosted by the lovely Lynsey at Narratively Speaking and inspired by The Story Sirens In My Mailbox, where we highlight the books we got in the post and beyond. Don’t they look lovely?! Eeee, anyway, The Tragedy Paper is the only one that I actually asked for this week and it sounds so intriguing! I can’t wait to find out what happens in it but the blurb makes it sound like something right up my street, Thank you Random House! The other two were unsolicited from Electric Monkey, but they are not unwanted! From What I Remember sounds brilliant and was actually on my ‘watch out for’ list anyway but I hadn’t heard of Into That Forest until now. It sounds interesting but not my normal type of read! This wonderful gift came this week too. I actually won it in the Splintered competition that A&C Kids ran to win a copy of the book, unfortunately I was just runner up but I love the necklace (though I will probably use it as a keyring) its so pretty! Anyway, thats everything from me… I will be away from the blog until Monday the 31st now but I hope you have a wonderful Christmas and New Year! From What I Remember is really fantastic. I hope you enjoy it! Awesome books! Oh and thats a gorgous necklace! We got Into the Forest at the shop but I didn’t take it, not sure it was my kind of read. I look our for your review.